Are you looking to produce a video/film in Greece? From video shorts to documentaries, NEEDaFIXER has you covered. Producing a film? documentary? music video? hospitality or travel video? what ever your video/film/pre & post-production requirements are, look no further. Our team is extensive covering everything from location scouts to filming crew, from camera operators to assistant directors. Our one-stop shop makes filming in Greece much easier & quicker, backed by superior quality staff and work-output, you can be sure that NEEDaFIXER will deliver above and beyond. Canaves Oia – Luxury Never Sounded So Good from NEEDaFIXER on Vimeo. SantAnna Mykonos – Dive Right In from NEEDaFIXER on Vimeo. Kenshō Boutique Hotel & Suites – An Awakening Experience from NEEDaFIXER on Vimeo. Elounda Gulf Villas – We Cherish Your Happiness from NEEDaFIXER on Vimeo. Abaton Island Resort & Spa: BOOTCAMP from NEEDaFIXER on Vimeo. Carpe Diem – Never Settle from NEEDaFIXER on Vimeo. With contacts across Greece and the rest of the world, the team at NEEDaFIXER GREECE can provide a crew ready to film on the mainland or one of the hundreds of islands. If you need directors, a production crew, technicians, assistants, or any other film crew, then we can get them to your shoot location when you need them. If you are looking to cast locally, but are worried about the language barrier, we can sort out show reels so you can take your pick of local talent. Filming in Greece poses many challenges. It can be difficult to deal with the local government, and gaining the necessary permits can be time consuming. Therefore, the services offered by NEEDaFIXER GREECE can make your shoot so much easier. We can get the right permits for filming in areas such as archaeological sites, towns, or remote islands. Always ahead of the curve when it comes to technology, the NEEDaFIXER team in Greece can provide drones and pilots for those epic overhead shots. The rugged landscape and remote locations of some of Greece’s islands can pose challenges to those looking to film, which is why many film crews in the country seek our expertise. Greece has been a popular filming location for a diverse range of movies from Shirley Valentine to James Bond: For Your Eyes Only. In recent years hit movies such as Bourne Identity and Mamma Mia! have been filmed on the islands, with the natural beauty of the locations making a perfect backdrop for these films. If you are looking for film production services in Greece look no further, we provide fixers in Greece, location scouts & management for filming locations in Greece. 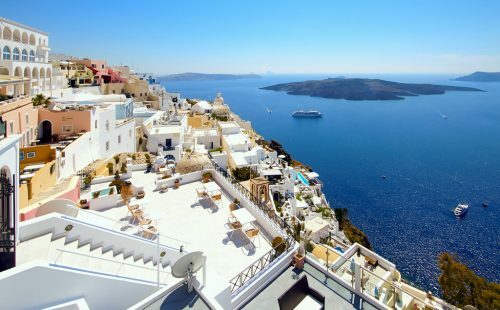 Check our detailed guide about Greece here. Greece has provided a spectacular backdrop for many major movies over the years. The well-preserved temples with their grand columns and stone steps make the perfect backdrop for historic movies. There are a large number of islands, each with their own unique look, which can be used for filming. For example, Santorini with its white houses and bright blue seas provided the perfect scenery for some of the Tomb Raider movie. There’s no limit to sun-drenched Mediterranean locations where you can film. Greece has a small, independent film industry, and doesn’t have any major studios, but if you’re looking to film in the country then we can help you gain the relevant contacts. If you are considering filming in Greece and need help with sourcing locations, getting permits, or finding a local crew, please get in touch with us as info@needafixer.com to find out more about how we can help you. 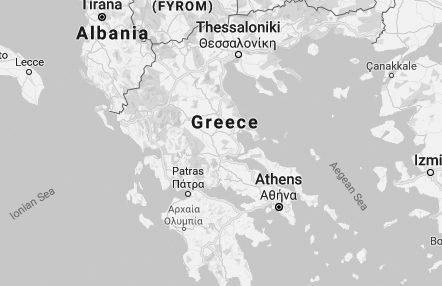 What can our fixers in Greece do for you? There are many challenges to filming on the Greek mainland or on its islands. Because there’s not a huge film industry in Greece, you may struggle to find experienced crew, and there’s also a language barrier for English speakers. That’s why many people looking to film in Greece contact the NEEDaFIXER GREECE team before they shoot in the country. They can ensure that you have all the cast and crew you need to keep your production on schedule. Another issue that you may come across when planning a shoot in Greece is trying to gain the right permits. If you want to film around archaeological sites, then you need permission from the Ministry of Culture and Tourism, while different islands might have different permit requirements. Use the services of NEEDaFIXER in Greece and will we deal with the difficult process of dealing with local government. If you wish to shoot at an archaeological site, you will have to request permission from the Ministry of Culture and Tourism. Permits for any aerial sequences, underwater shots or street closures also require different permits. But never fear, we have the largest network of fixers across Greece (even on the smallest and relatively unknown islands), so we’re experts on the acquiring and advising which permits are required. If your country of origin is in the EU, you will not have to apply for a visa. Other continents including the Middle East and Asia require visas, which can be acquired by contacting the consular offices of the Greek embassy. Greece enjoys a typical Mediterranean climate. You can expect slight showers in their winter months, but generally speaking, it’s beautiful mild weather throughout the year, although it varies between each Grecian destination.